Cofidis Solutions was the first team in professional cycling to be equipped with the SRM FSA K-Force Light BB386 PowerMeter featuring a user changeable battery in 2014. “Validity and reliability of power measurement in powermeters are extremely important in the monitoring of professional cyclist’s training load and performances in training and racing. 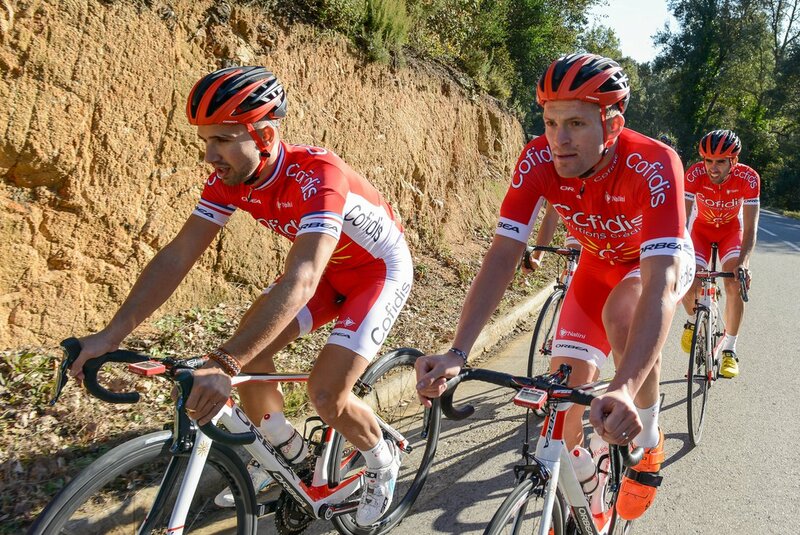 These two important features have determined the choice of the Cofidis team for using the SRM Training System. Small improvements have significant meaning for pro cyclists and have to be detected with accuracy. Every measuring device can show data, but data only has interest when it is accurate and consistent. As a sports scientist and trainer working with SRM for more than 10 years, I know how reliable and valid the power values of the SRM powermeter are. With nearly 30 years of history and experience, the SRM power meter is the “golden standard” for power measuring.” - Vincent Villerius, Team Sports Scientist.